The James K. Polk Project devotes itself to locating and making accessible the incoming and outgoing letters of the Tennessee native who served as U.S. president from 1845 to 1849. History faculty from the University of Tennessee, Knoxville, assisted by graduate students, locate, select, transcribe, annotate, introduce, and index the letters. The most important or interesting ones, they publish in full; the rest they summarize in detailed briefs or shorter calendar entries. The resulting print and digital volumes serve as essential resources for scholars and students researching America before the Civil War. So far the project has published thirteen volumes of the Correspondence of James K. Polk, the only published edition of the letters of one of America’s most important nineteenth-century politicians. Volume 13, published in 2017, features letters from August 1847–March 1848, the final months of the Mexican-American War. The numerous topics it covers include Mormons’ journey to the Salt Lake Valley, U.S. relations with the Kingdom of Hawaii, and the U.S. acquisition from Mexico of California and the Southwest. Initiated at Vanderbilt University in 1958, the Polk Project moved to the University of Tennessee in 1987. Vanderbilt University Press published its first seven volumes; the University of Tennessee Press has published the rest. The first twelve volumes are now available online in an open-access edition published by Newfound Press. Besides the transcribed or summarized correspondence, each volume includes a preface or introduction, chronology, and index, plus informational, contextual, and textual notes. 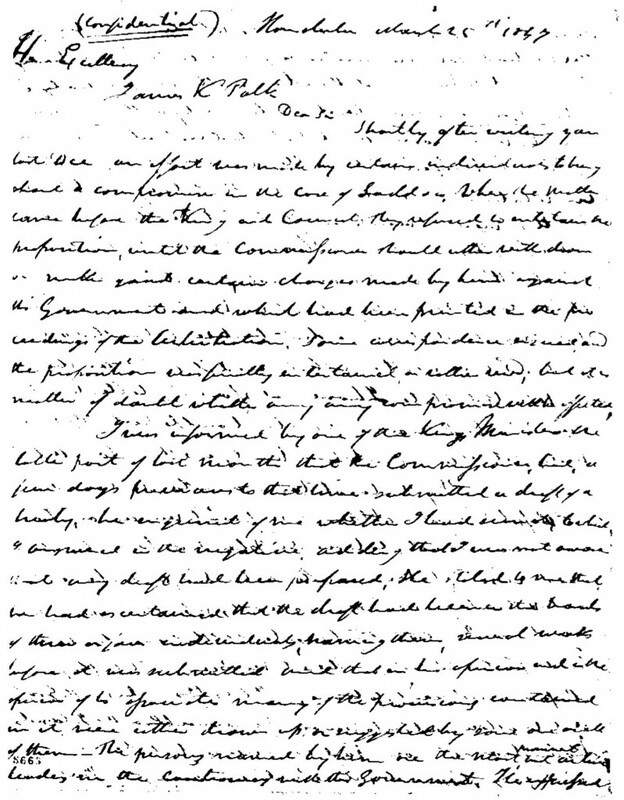 In selecting which letters to publish, the editors have chosen to include most of the letters written by Polk. That decision attests to the unique window those letters open on his thoughts and to their scarcity compared with extant incoming correspondence. Beyond that resolve, the project eschews rigid selection criteria. Simply put, it seeks to publish in full those letters adjudged to be the most important, illuminating, or interesting, and to include letters discussing as many topics as possible. For each volume, the editors survey about one thousand letters, of which they publish the full texts of 300 to 350. Only one volume remains to complete the series. In 2019 the project will finish its work and host a conference to celebrate that major accomplishment. Soon all fourteen volumes, featuring letters written between 1817 and 1849, will be available in print and online to readers around the country and the world. Organized chronologically, that series will span Polk’s entire public and private life: his student years at the University of North Carolina; his careers as a slave-owner, planter, and lawyer; his political life in Tennessee state politics and the U.S. House of Representatives; his ascent to the White House; the four years of his presidency; and the brief retirement that preceded his death. The recently published and forthcoming volumes, which cover the Polk presidency, are among the most important to historians and students.